Is this a sucker's rally? Still, investors don't seem all that concerned about the poor profit outlook. 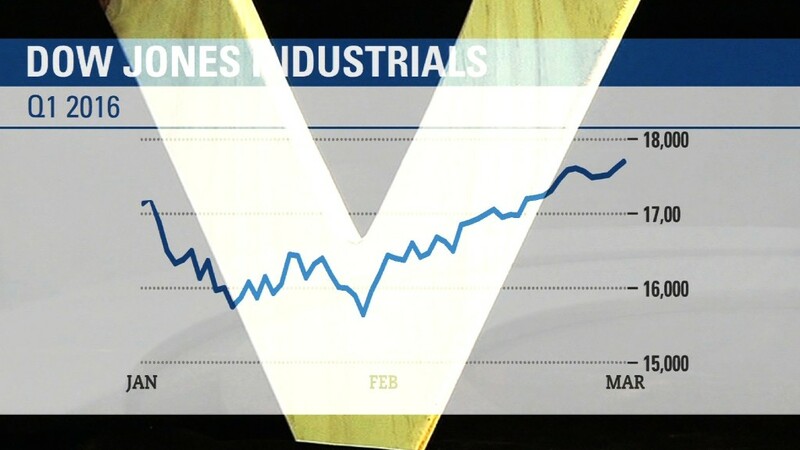 The S&P 500 is up more than 13% since hitting its low point for the year on February 11. The Nasdaq has surged 15%. And CNNMoney's Fear & Greed Index has been firmly in Greed mode for the past month. It even hit Extreme Greed territory last week. It is clear that there has been a dramatic shift in sentiment -- even though the fundamentals haven't changed all that much. That worries some investing pros. Steve Reitmeister, the head of investing research site Zacks.com, has referred to this big move as a "sucker's rally." It all depends on your outlook. Bill Stone, chief investment strategist with PNC Asset Management Group, said that even though things appear to be looking better in the U.S., it's hard to be as bullish about the rest of the world. "The global economy is still weak. It is still stuck in a rut," he said. "We've come so far from the lows. I'm not sure we've relit the fuse to go that much higher again." Stone thinks things will be choppy for the next few months. That's why he is favoring more defensive stocks with high dividends as opposed to ones that would benefit from a big pickup in economic growth. Paul Nolte, a portfolio manager with Kingsview Asset Management, agrees. He said he's not sure the market can go much higher from here without actual improvement in fundamentals. Stocks may have come too far too fast. "Until we see some solid earnings growth, it's hard to get excited," he said. "There is a lid on stock prices because valuations are already high." But some think that once we get past the maelstrom of bad earnings for the first quarter, there is smoother sailing ahead. "Markets are supposed to be forward looking, and looking forward over the next 12 months, growth should be stronger, earnings should be higher and inflation should be hotter," said David Kelly, chief global strategist with JPMorgan Funds, in a report Monday. He raises a good point. Oil appears to have bottomed -- which is great news for energy companies. And higher inflation, coupled with a weaker U.S. dollar, should help lift profits for all those giant multinational companies in the S&P 500 and Dow. So it may be a mistake to bet on a big pullback from here. PNC's Stone said that even though he's not overly bullish, he does think the market did probably hit a bottom in February. "The first quarter numbers are going to be bad," he said. "But the market is thinking less about the current quarter and more about the future. Things might be slowly getting better."